The past couple of weeks we, together with Boomerang Media in Amsterdam, have organized a design contest. 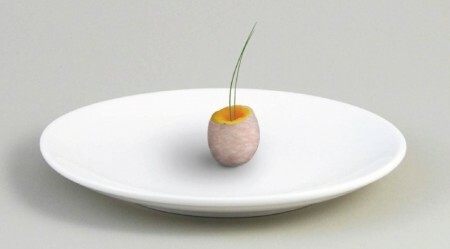 Creatives worldwide where able to design a starter, main dish or dessert in line with the concept of Bistro In Vitro, World’s first lab-grown meat restaurant. What would be your ideal dish? Down here the winners! The contest is now closed. All winners will be contacted individually. When lab innovation meets funfair authenticity. 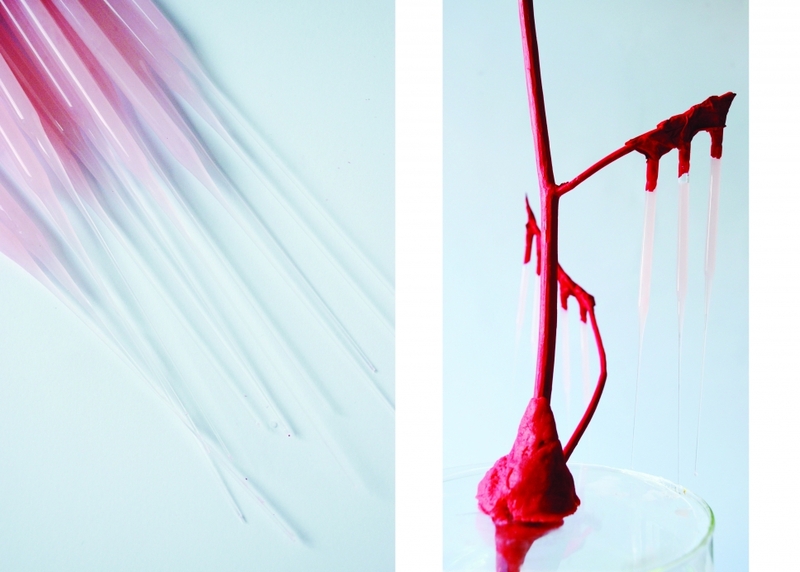 Thanks to the in vitro engineering, enjoy a cotton candy with the meat of your choice. Choose it raw or slightly cooked over the flame and let it melt in your mouth. 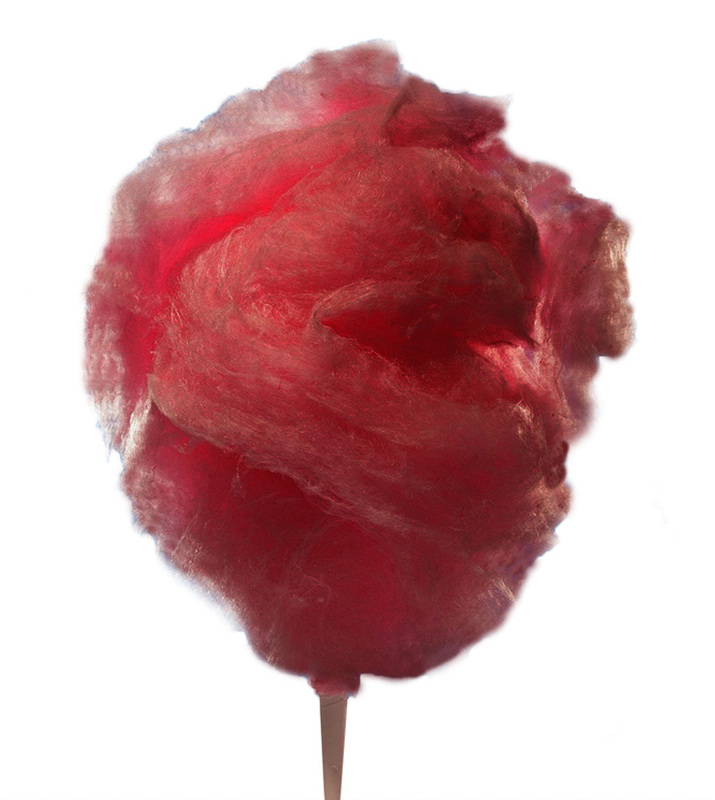 The subtle addition of sugar coating will remind you of the original cotton candy with a soft sweet and savoury taste. 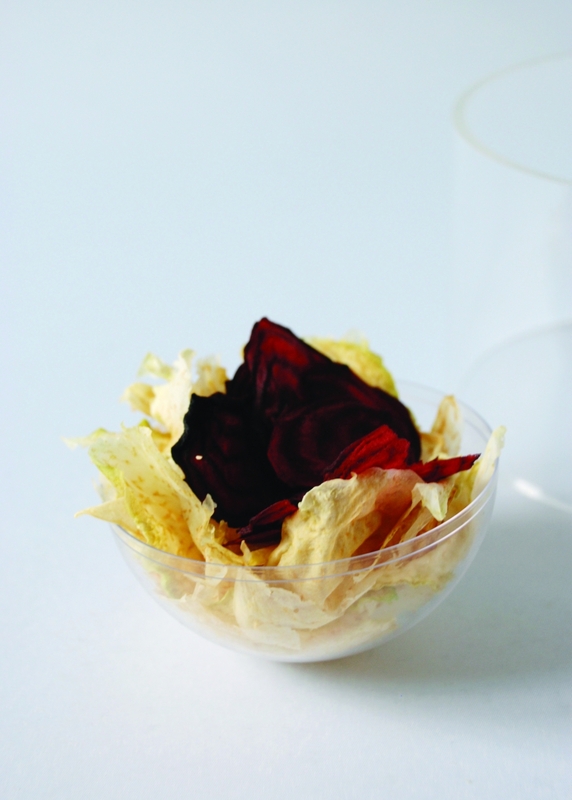 The omnivorous Smaakvreters can be marinated from within, with ingredients chosen by the visitor himself. Think about cheese fondue, but then the other way around. Smaakvreters are a delicacy and are often eaten raw. The best part of a chicken wing is the crispy skin, but there is always too little of it. Skin is perfectly suitable to be grown in vitro in thin layers. So why not grow it in large amounts? Fried and served with some thin slices of meat on top to achieve an interesting color accent, it may be going to become your new favorite snack. A new neighbour is going to join the herbal plants in the kitchen. It’s called the Axoplant and is able to grow back missing cells. Inspiring example was the axolotl. The little amphibian is able to regenerate its body parts after it happens to loose one. You can just take the filled vessels off the plant and drop the gel like meat onto a baguette. Just add a little salt and butter. Who loves dessert most? Exactly, children. 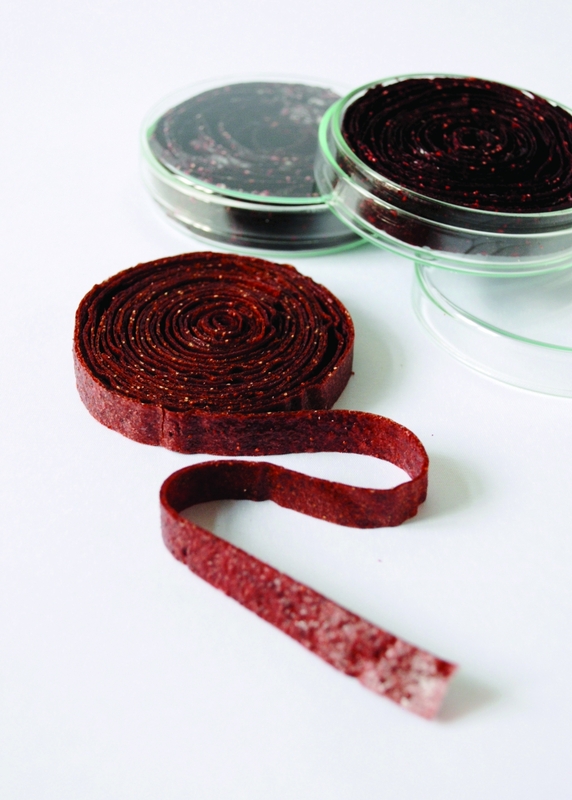 Inspired by a classic sweet bubblegum on a roll we invented Jerky On A Roll. In vitro meat can be grown in nearly infinitely long fibres. That is the secret of this long chewing roll. Available in different flavors, it’s the perfect snack for sharing with other children on the playground of the restaurant and collect a range of new taste experiences. 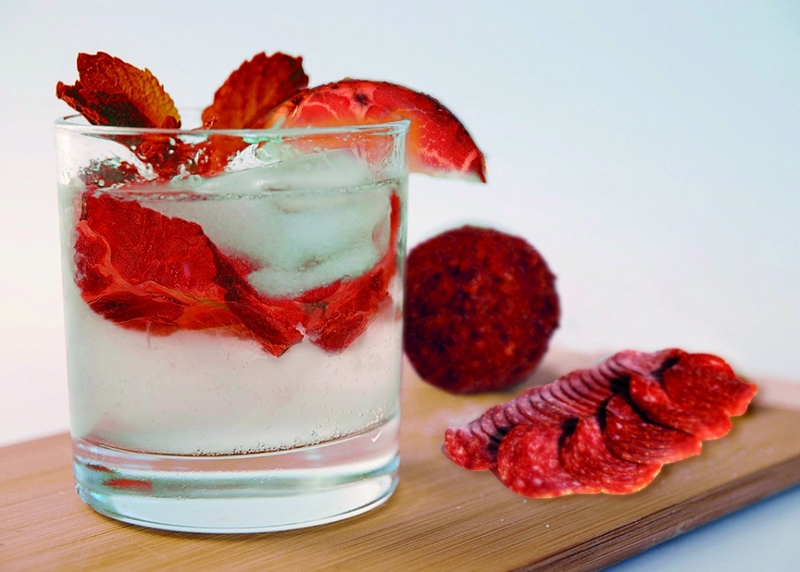 The Meatjito is a delicious coctail with fresh lab-grown meat and a tiny bit of manatee. The Meatjito is famous for its bite and the flavour is dependent on how much rum you pour into it. Great for a hot summer night while nibbling on some fried insects. This perfectly succulent egg has been grown within a meat casing. An in-lab mastery of the freshest hens egg and farm pork cooked to the food labs exact measurements for the perfect scotch egg. 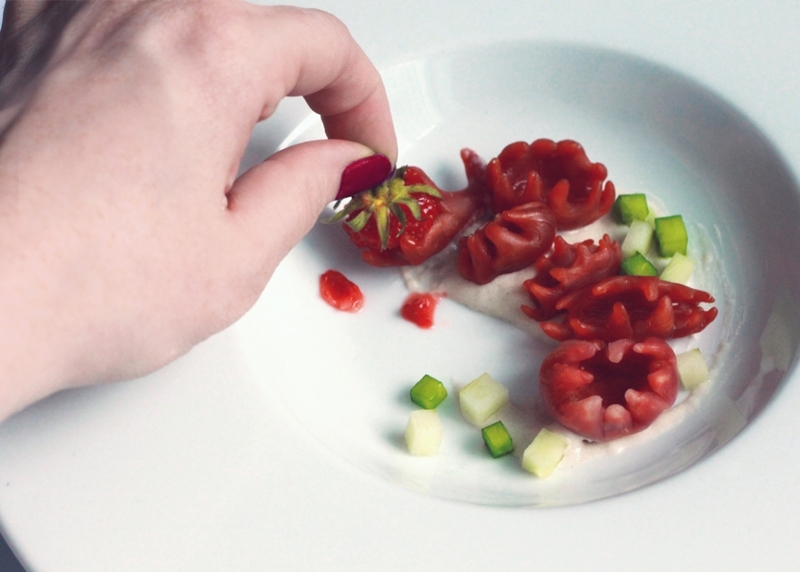 An artwork in shape, texture and the replication of sunny picnic nostalgia. All other entries and explanations can be viewed here.